Abe Cohen Plumbing and Heating Inc. is who you need to call for natural gas fired unit heaters in Ahuntsic, Baie D'Urfe, Beaconsfield, Bord du Lac, Cote Saint-Luc, Cote St-Luc, Dollard des Ormeaux, Dorval, Downtown, Hampstead, Ile Bizard, Lachine, Lacey Green, Lakeshore, LaSalle, Laval, Mile End, Montreal West, NDG, Nouveaux St. Laurent, Nun's Island, Old Montreal, Outremont, Pierrefonds, Plateau, Pointe Claire, Pointe St. Charles, Roxboro, Ste-Genevieve, St. Henri, Town of Mount Royal, Verdun, Ville St. Laurent, West Island, Westpark, Westmount. We install, maintain, repair, and replace all brands of gas-fired unit heaters. We are qualified and licensed to install and repair all of the gas fittings and lines. Determining the size of the unit heater is essential to reliable functioning and longevity. 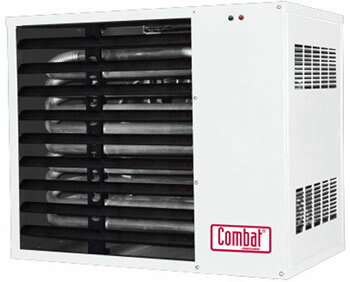 We can help you to determine the best type of unit heater for the zone(s) you want to heat. 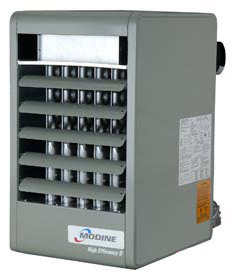 Unit heaters are common in workshops and other industrial environments where a large space (like service shops, warehouses) needs to be heated quickly (daily, upon arrival of workers). Unit heaters allow you to heat different zones to different temperatures. For high-ceiling spaces, an effective and economical heating option (also gas fired) is infrared radiant heating. At Abe Cohen Plumbing and Heating Inc., we are a three-generation family business with more than 50 years in the plumbing trade. We consider our customers to be family and friends in a long-term relationship with us. We have the experience, expertise, tools, and equipment to install, repair, or replace natural gas zone heaters in industrial buildings in the greater Montreal area. We are respectful, clean, and professional. We are certified and active members of CMMTQ (Corporation des maîtres mécaniciens en tuyauterie du Québec), ACQ (Association de la Construction du Québec), and certified partners of Gaz Métro for natural gas piping and installations.